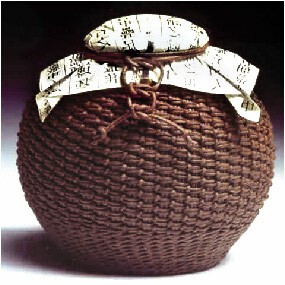 Nancy Moore Bess is a talented handmade basketry artist who is known for her Japanese inspired baskets. 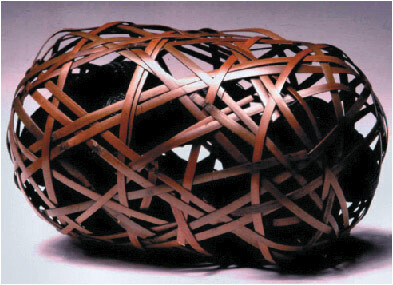 Her works are inspired by the Japanese basketry techniques. She attended her first class on basketry in 1972 at the Crafts Student’s League. After reading the book ” How to wrap five eggs”, she came to know in detail about the art of Japanese packaging. Nancy’s life was completely changed after visiting Japan in 1986. 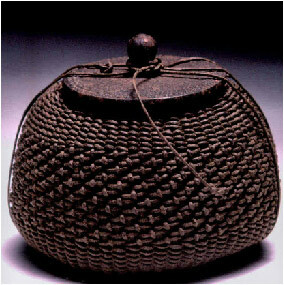 It was from there she reached the world of basketry and Japanese bamboo craft. She published a book titled “Bamboo in Japan”. She works from her studio in Amherst, MA. 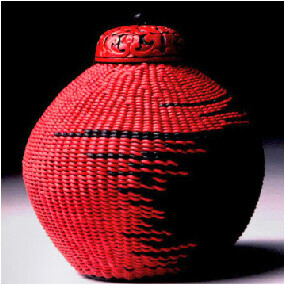 Her works are best regarded as the examples of contemporary handmade basketry. She uses natural materials like waxed cotton, linen etc. Here is the Sabi Tea Jar made by Nancy. It is crafted with waxed cotton and linen. She have used an old Japanese iron lid for the basket. Size is 6″ x 6″. This one is called Kanji Jar. The lid and jar as a whole looks amazing. 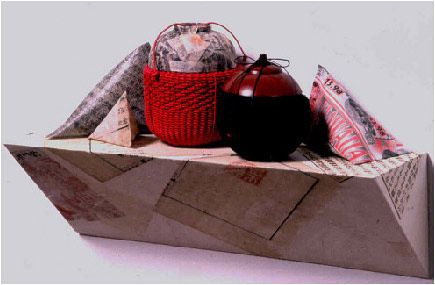 It is made using waxed cotton, linen and wooden lid. 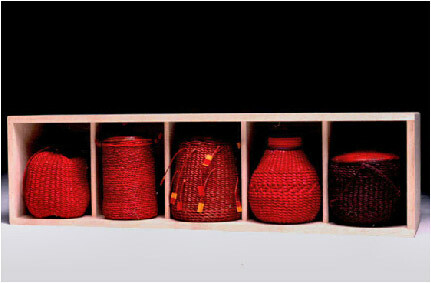 Five shades of handmade red baskets. 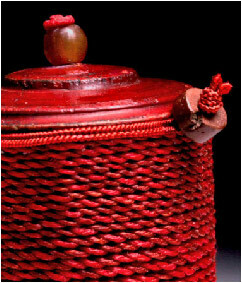 These are made from Waxed cotton and linen, Indian lid and beads, paper • Each basket is of 3″ x 2″ size.